Buy, hire or lease our touch screen cash registers at the most affordable prices on the market. At CCM EPoS, we understand that your retail or hospitality business needs a fast and simple till system. How do you know which is the most reliable till server? Having supplied point of sale systems to a multitude of important retail businesses in the UK, you can put your faith in CCM EPoS to deliver fantastic sales solutions to your store. 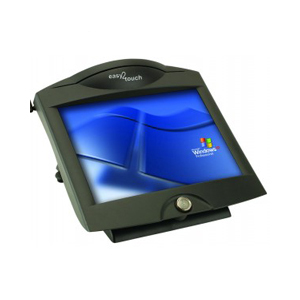 What cash touch screen registers do we supply? We understand that each commercial company works differently to gain the profits they need. Whether you are in hospitality or retail, you want to ensure your customers are given the best standards of service on your premises. Each design is manufactured and installed with your business strategy in mind. The features of your PoS systems will enable you to make every sale quick and simple; improving your profits and your customer relationship. One essential benefit of a touch screen cash register is the simplification in its design. Our new systems will remove all the difficulties that were previously surrounding your product sales. Clear-cut software is installed and with our new touch screen operation, the simple layout offers a fast and responsive cash taking solution. We provide flexibility in the interface of our touch screen registers that will make the transitions between tab controls and user interface all the more simple. With easy to navigate screens you won’t have to waste time giving additional training to new staff and, as a result, you will process transactions faster. Program your PoS server to your commercial business with a range of cash till features. The interface of our cash registers has actions including discounts, on-screen prompts, and cash taking details like no sales and voids. The versatile programming, mobility and convenience of each of our PoS systems will improve the management and give you complete control of your sales. Our PoS systems are purposefully designed to enable you to update your stock and record your sales. As a result, you will be able to keep track of the latest changes in market trends and adjust your stock and programs accordingly. CCM EPoS has been providing valuable cash registers to a wide selection of the commercial sector for years. We want to improve the management and processes within your company through our innovative touch screen cash registers. We are proud to deliver features that will create a better work environment and relationship with your customers through fast and effective sales operations.